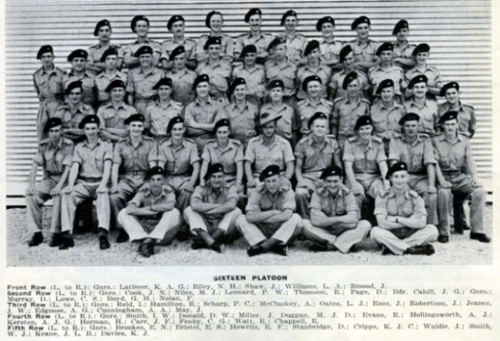 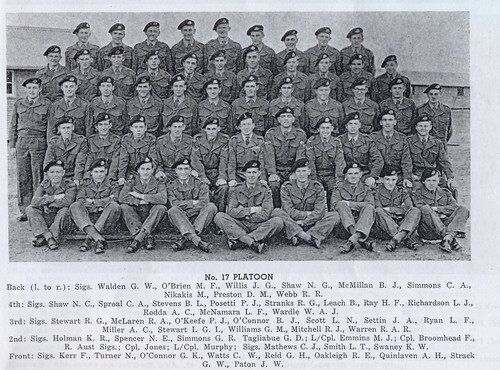 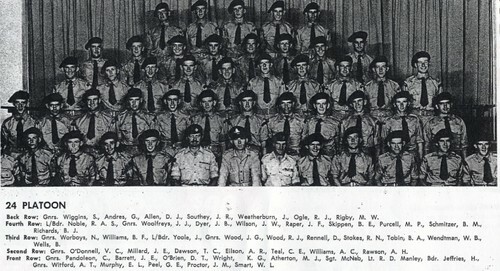 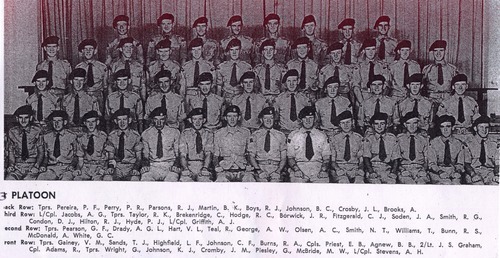 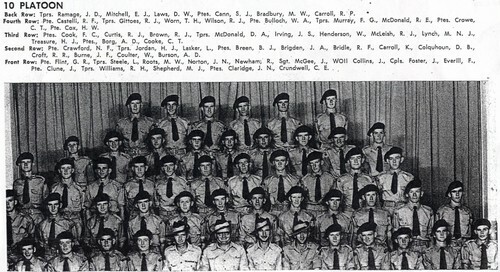 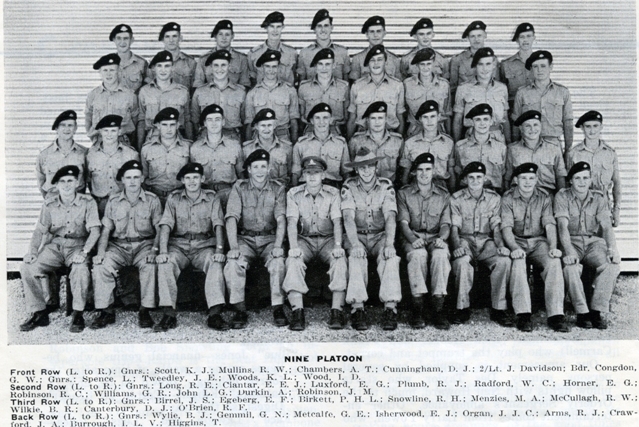 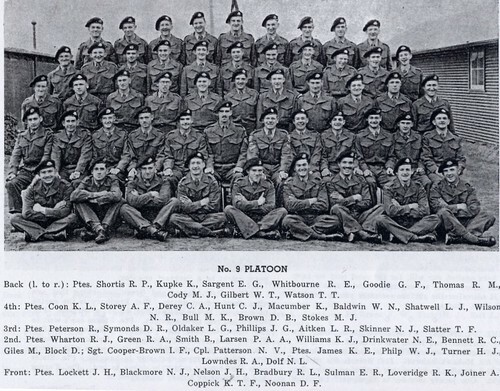 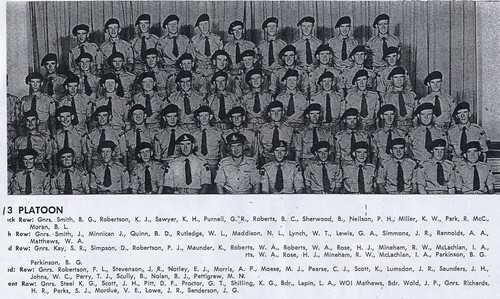 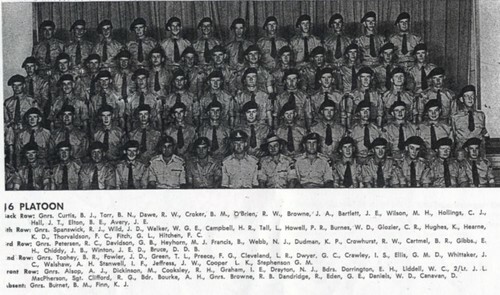 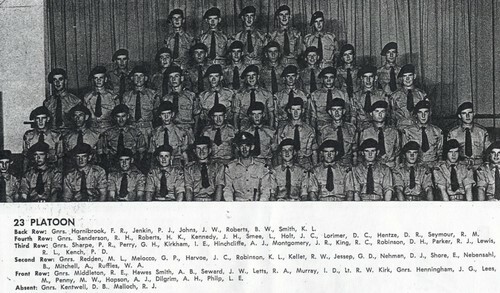 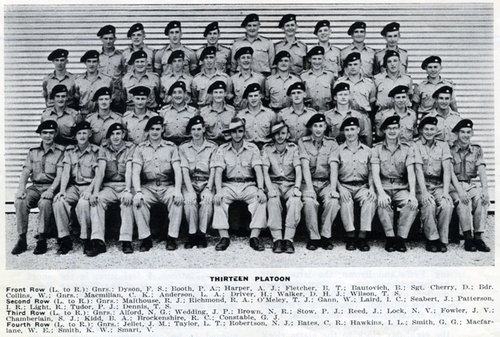 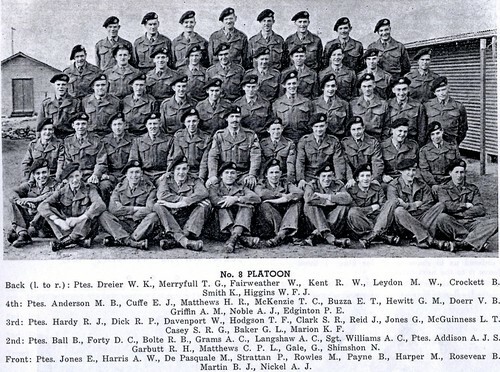 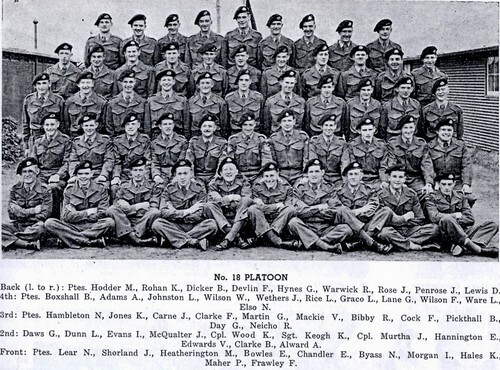 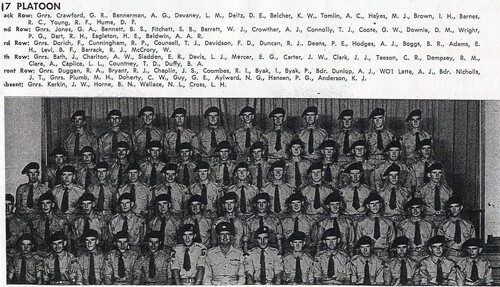 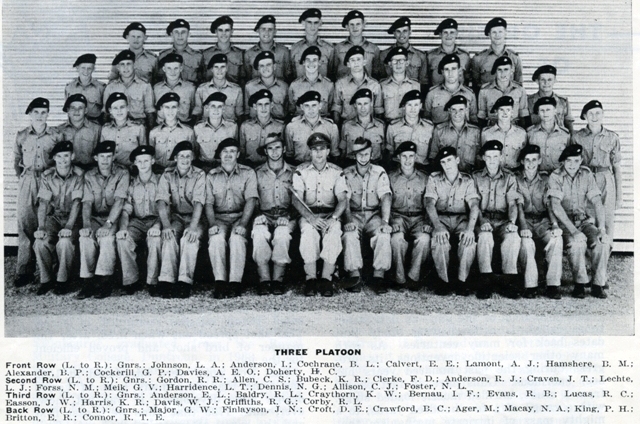 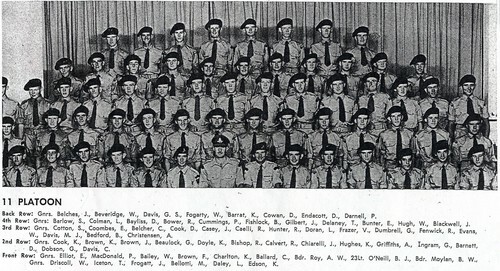 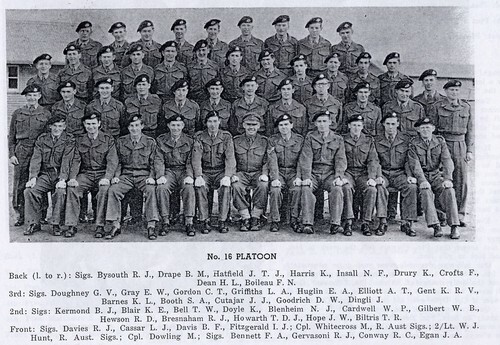 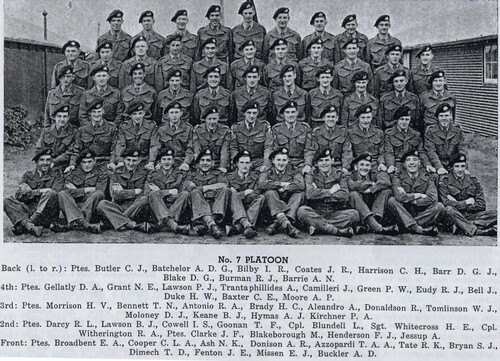 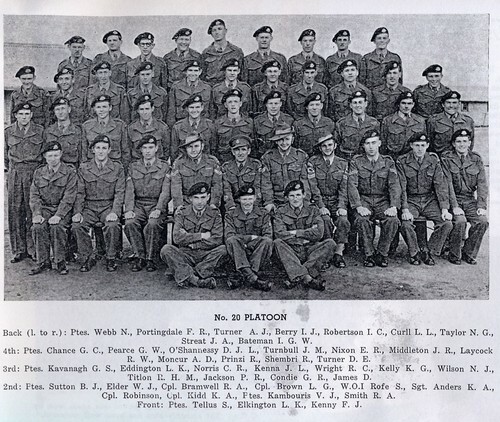 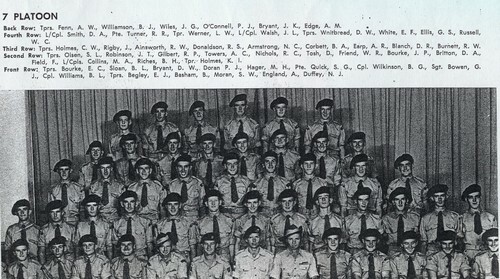 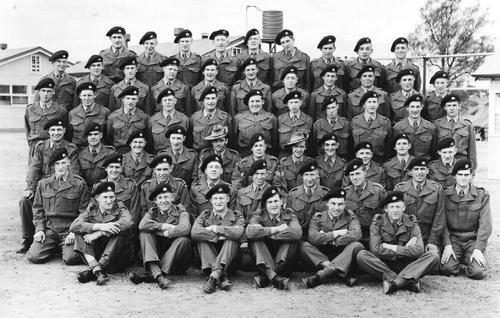 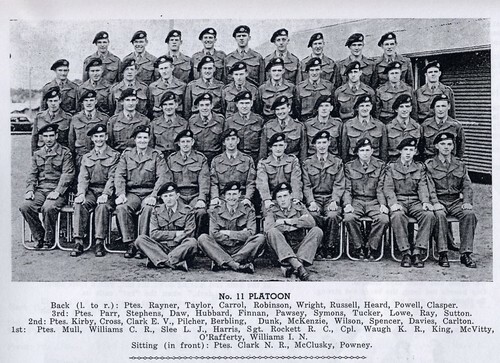 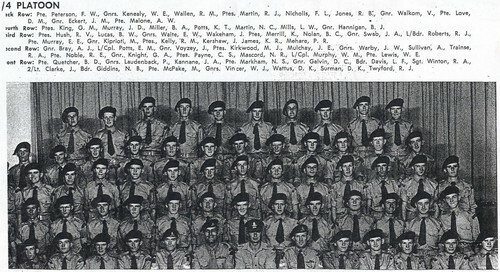 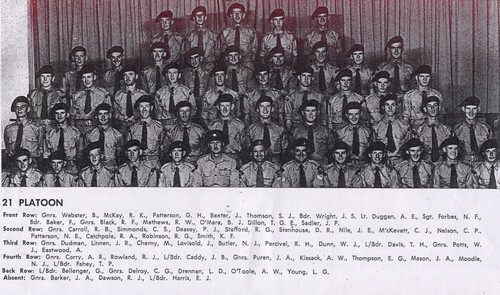 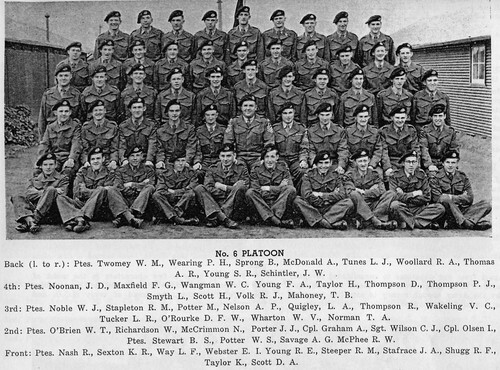 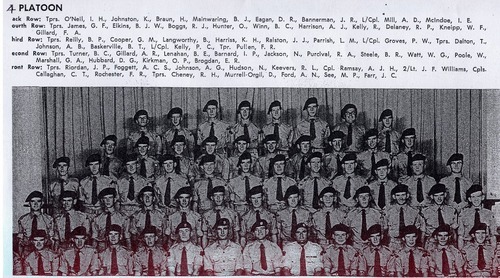 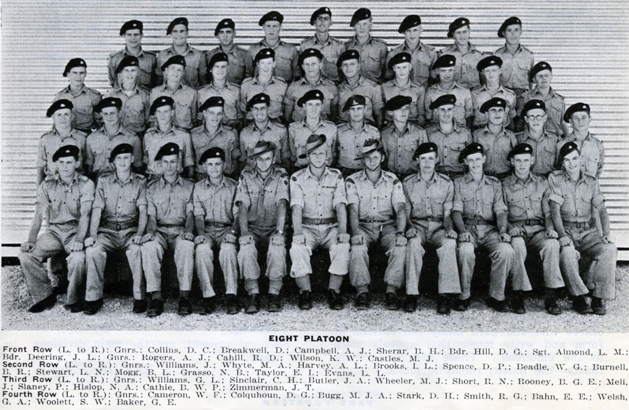 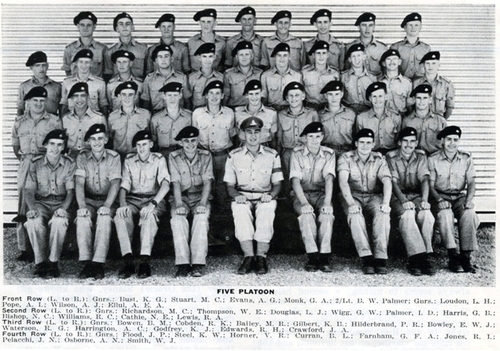 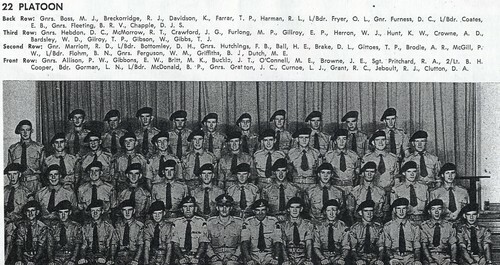 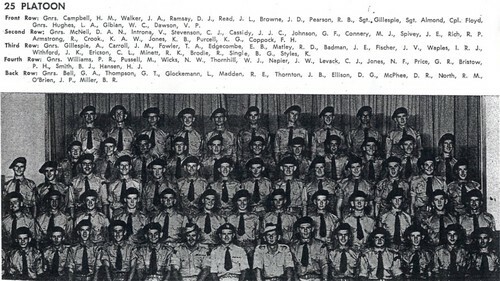 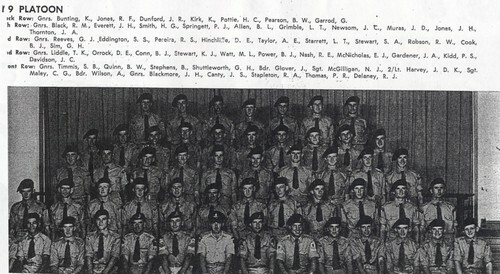 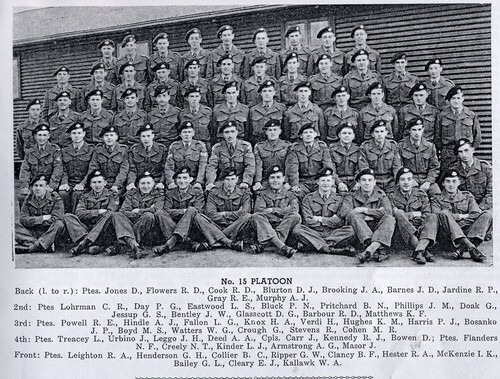 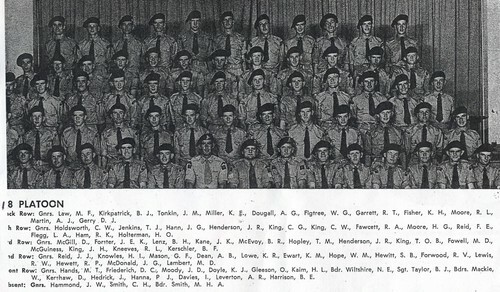 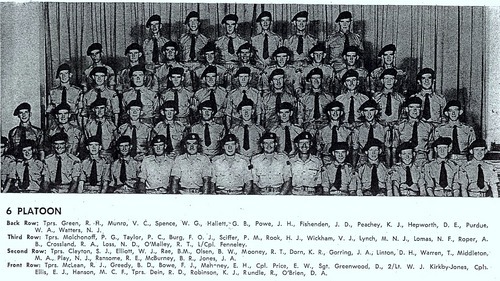 18 NSTB B Coy 9 Pl 2nd Intake 1955. 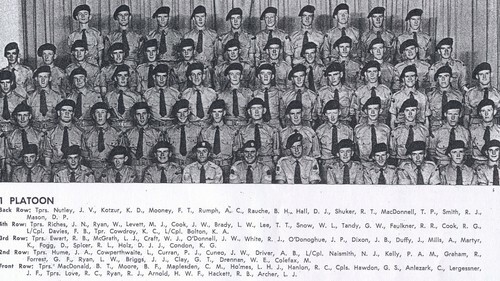 Top L to R ~ Ross Mansfield, Barry Burke, Vince Duffy, (unknown),DM Kelly.
. . . Neville Burns, Don m’neil.
. . . Ian Byrne, Garry Stevens, Barry Newlands, P. Stewart, Terry Brodigan.
. . . Clive Smith, Bobby Dean.
. . . Phil Horan, P. Spence, Richard Hunter, Terry Regan, Ray Grindley. 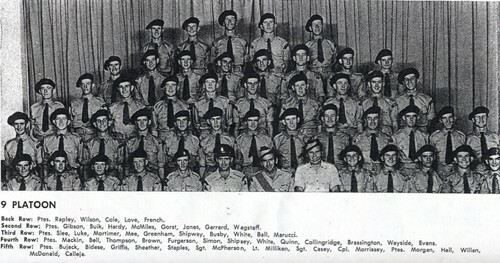 Front Row L To R.7thCpl Pook.8th LT Long. 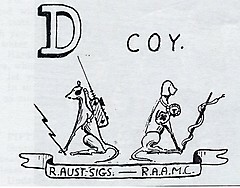 13th Clarrie Danswan. 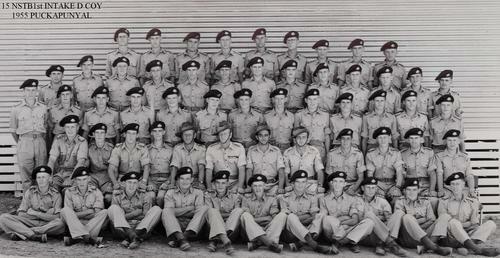 19 NS.TRG.BN.20PL.E Coy.2nd intake 1955 Holsworty. 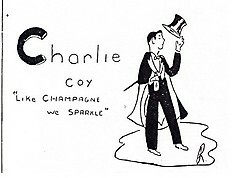 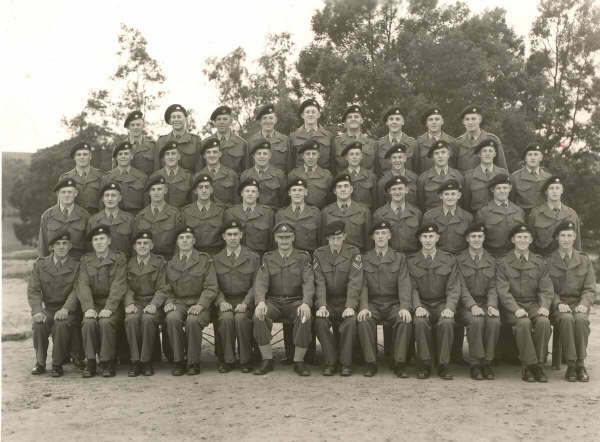 Kevin Muirhead, RJ Moxey, JP Butler, John Boughton, Bob Wheeler, Barry Humphreys, Kevin Geddes, SA Preece, Bill Gorton, Barry Tweedie, Jim Way, ……. 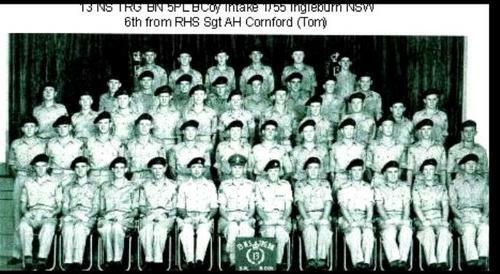 Harry Harrison, Barry Steepe, Wal Broughton, Graham Groth, Norm Lillyman, Cpl Leary, Sgt Huxtable, Cpl McKinnon, Stumpy Butler, Mick Turner, Don Jurd, Bill Charlton, Bob Beavis. 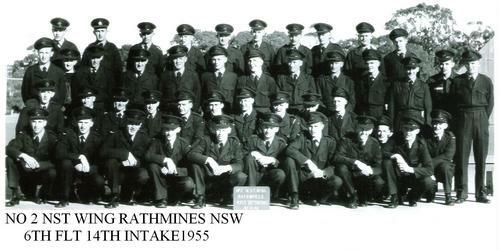 NO2 NST Wing Rathmines 14th Intake 1955. Top ROW L TO R~4TH DONALD TORR. 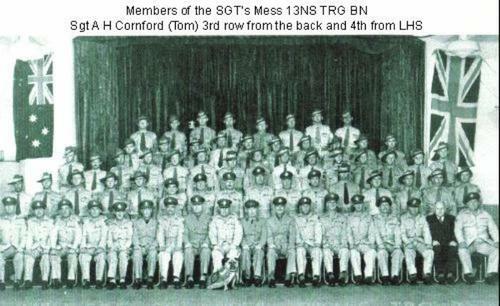 14 NSTB Platoon Photos sent IN ~Ian Delahoy. 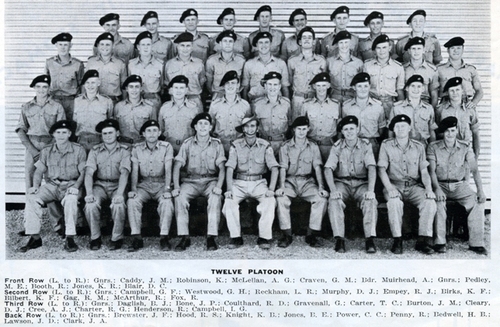 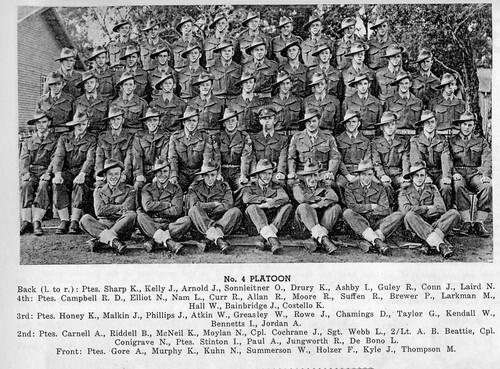 14 NSTB A Coy 1st Intake A Coy 1 Platoon Pucka 1955. 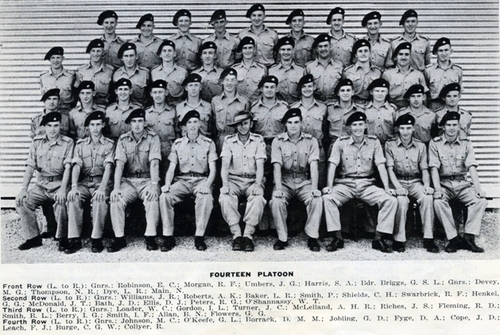 14 NSTB A Coy 1st Intake A Coy 2 Platoon Pucka 1955. 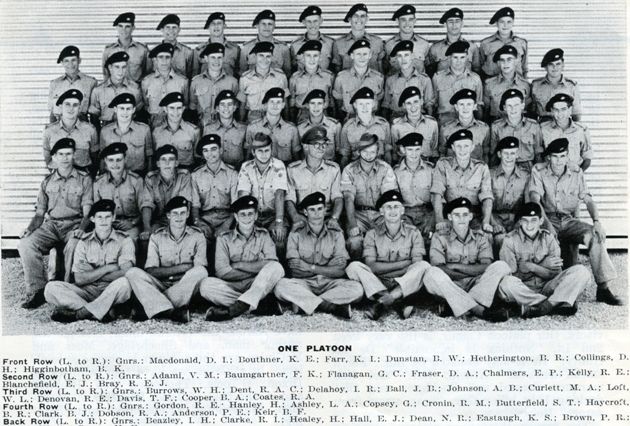 14 NSTB A Coy 1st Intake A Coy 3 Platoon Pucka 1955. 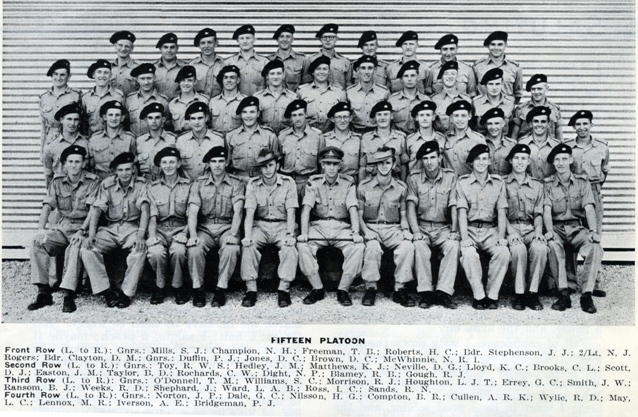 14 NSTB A Coy 1st Intake 4 Platoon 1955 Pucka. 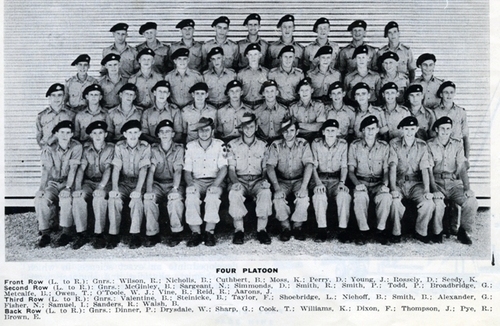 14 NSTB B Coy 1st Intake A Coy 5 Platoon Pucka 1955. 14 NSTB B Coy 1st Intake A Coy 6 Platoon Pucka 1955. 14 NSTB B Coy 1st Intake B Coy 7 Platoon Pucka 1955. 14 NSTB B Coy 1st Intake B Coy 8 Platoon Pucka 1955. 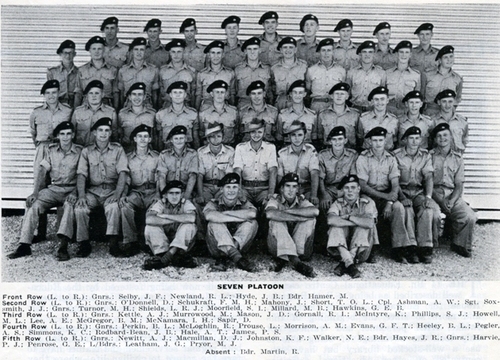 14 NSTB B Coy 1st Intake B Coy Platoon Pucka 1955. 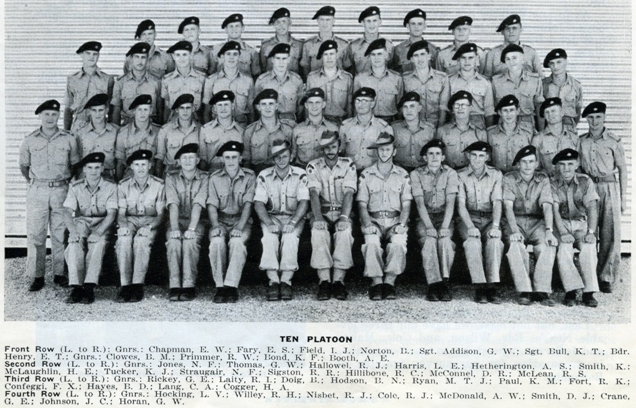 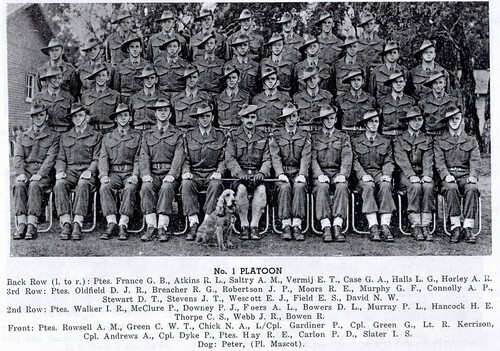 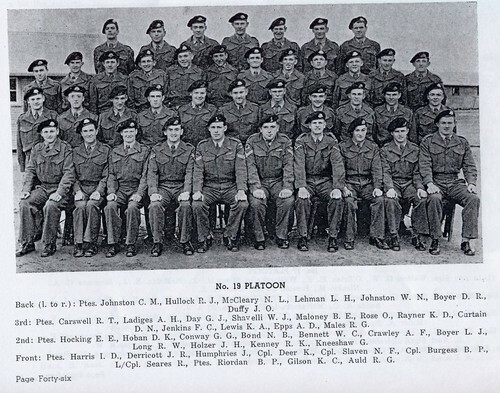 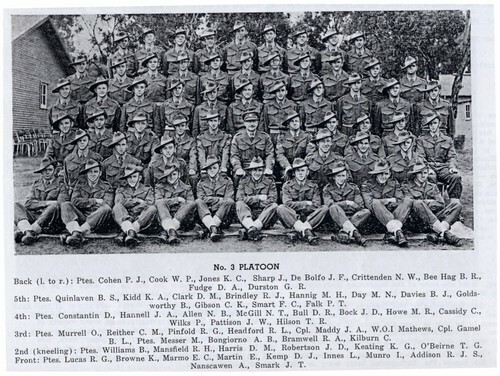 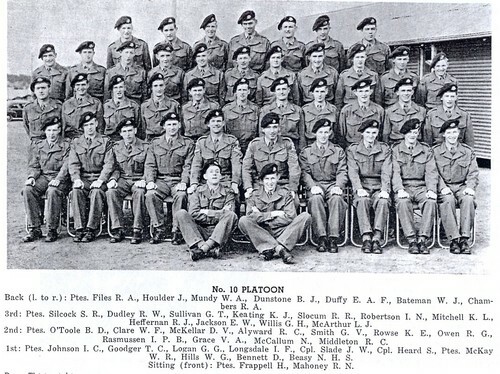 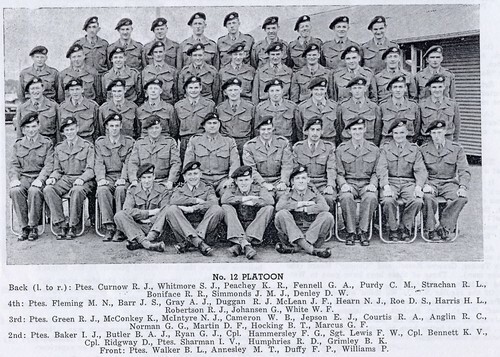 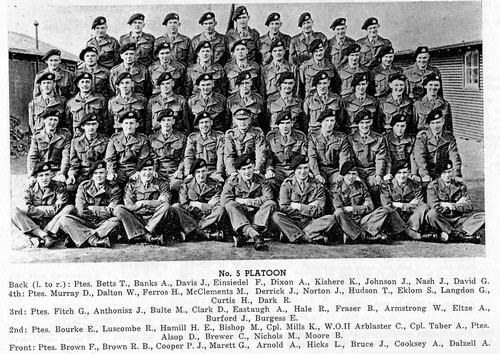 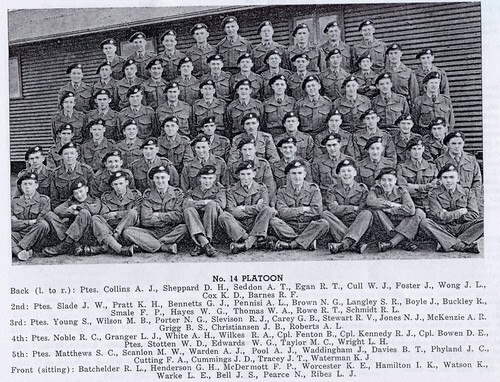 14 NSTB B Coy 1st Intake B Coy 10 Platoon Pucka 1955. 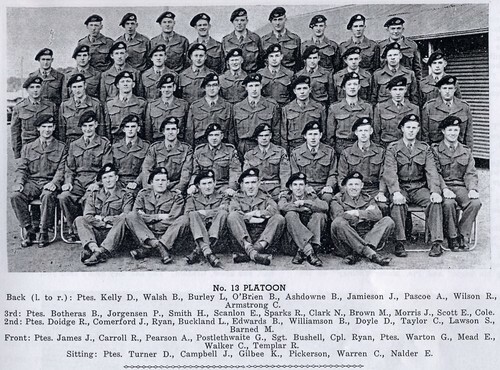 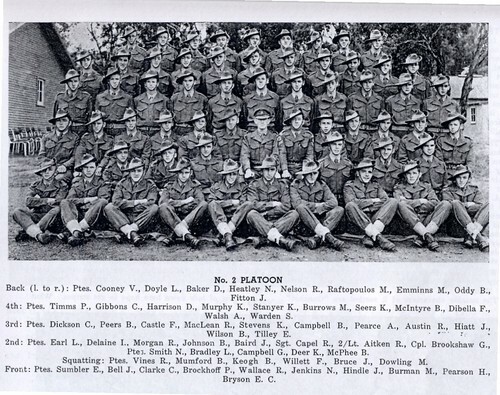 14 NSTB B Coy 1st Intake B Coy 11 Platoon Pucka 1955. 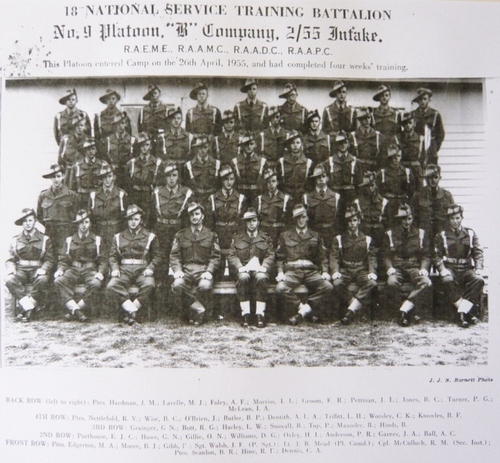 14 NSTB B Coy 1st Intake B Coy 12 Platoon Pucka 1955. 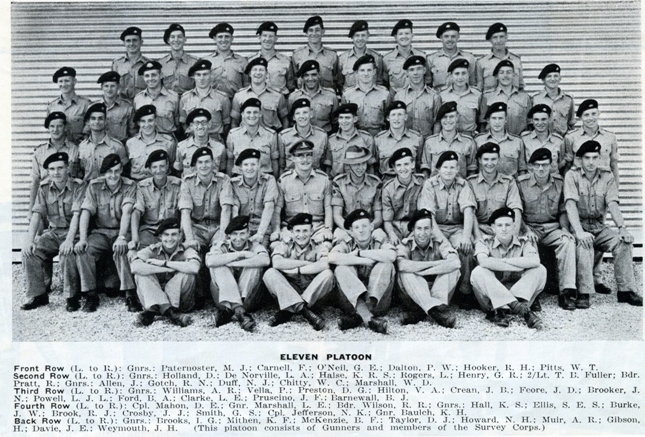 14 NSTB B Coy 1st Intake B Coy 13 Platoon Pucka 1955. 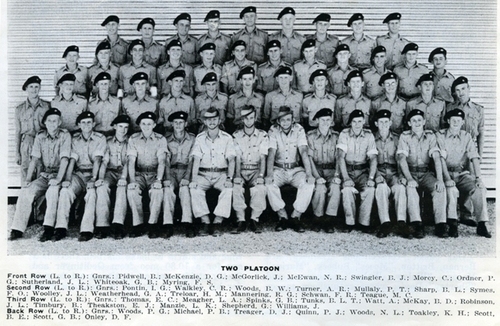 14 NSTB B Coy 1st Intake B Coy 14 Platoon Pucka 1955. 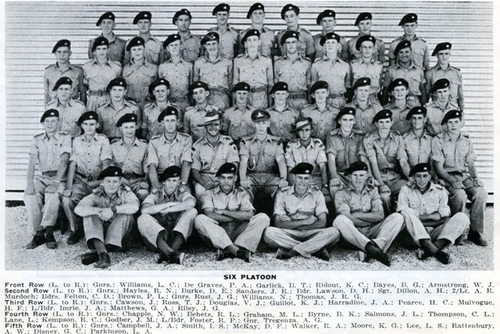 -14 NSTB B Coy 1st Intake B Coy 15 Platoon Pucka 1955. 14 NSTB D Coy 1st Intake 16 Platoon 1955 Pucka.